This card was super easy to create and I think it looks great! 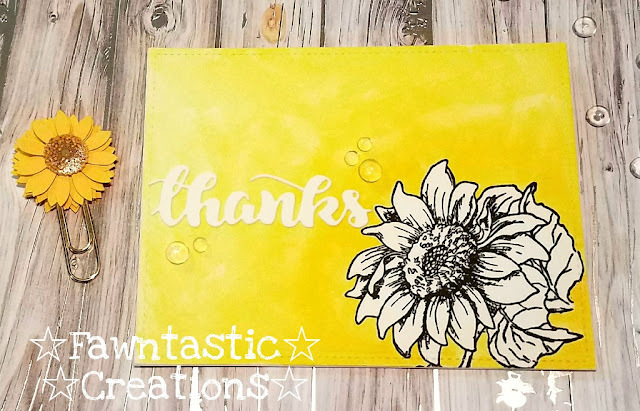 I used the Hello Sunflower stamp set from Strawberry Jude Stamps. I stamped it in the corner of a watercolor panel. Then I used yellow and painted all around the image and then used just water to pull the paint out to cover the panel to get a gradient effect. After it dried I added a thank you die cut and some clear raindrops.